CLEANUP Even the trash management company is owed money by BottleRock. In poetic verse, it's convenient that BottleRock scans a bit like a certain colloquialism that starts with "cluster." With festival organizers facing over $2.5 million in unpaid debts, some vendors aren't waiting for the courts to decide who gets paid. "I felt super alone at the onset," says Mary Munat, owner of Sebastopol's Green Mary waste diversion company, who is owed $28,700. "I didn't think that my company was going to make it. It's just too small to take this kind of hit." Her friends and family hated to see the cheerful environmentalist worried, so they put together this week's benefit concert in Sebastopol. They're not expecting to raise $29,000, but anything would help Munat, who was forced to take out a loan to pay employees after the festival. Munat's not alone, of course, and there are creditors who haven't come forward yet. Of the known debts, the largest are to the Napa Valley Expo ($310,938), Bauer's Intelligent Transportation Inc. ($524,239) and the International Alliance of Theatrical Stage Employees Local 16 ($630,000). Like Green Mary, the Up and Under Pub in Point Richmond reached out to the community for support. Owed $185,000 for backstage catering services and struggling to make payroll and keep the doors open, the pub set up a "cash mob" night via Facebook, asking supporters to come out and spend money in droves. It raised a fraction of the debt, but it helped. Munat and her crew separate trash from compost and recycling, which results in at least an 85 percent landfill diversion rate, she says. Now she's learning to do the same in business meetings, vowing never to work with BottleRock organizers Gabe Meyers and Bob Vogt in the future. No matter how successful the fundraiser is, Munat will still file suit for money owed. "They shouldn't get away with it," she says. Though no deal has been officially announced, meetings have taken place between Live Nation, one of the country's largest concert promoters, and some parties involved in BottleRock. The Napa Valley Register reports that Napa mayor Jill Techel and Napa Valley Expo CEO Joe Anderson met with Live Nation representatives on Aug. 2. 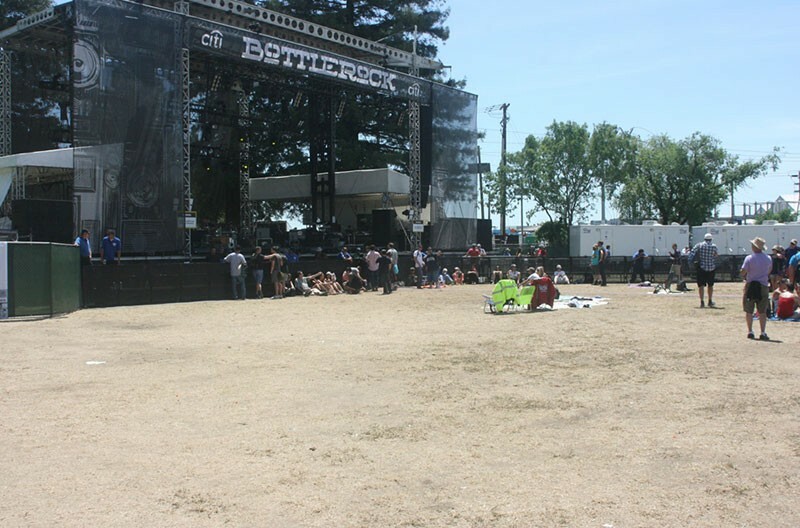 If Live Nation buys BottleRock, settling the outstanding debts would likely be part of any deal. If that deal falls through, prepare for an interesting documentary: The Little Festival That (Almost) Could. The Green Mary Gala features the Highway Poets, the Atom Waltz Project, comedy with Swami Beyondananda and a Trashion Fashion Show on Friday, Sept. 13, at the Sebastopol Community Center. 390 Morris St., Sebastopol. 7pm. $15–$50 sliding scale. 707.823.1511.